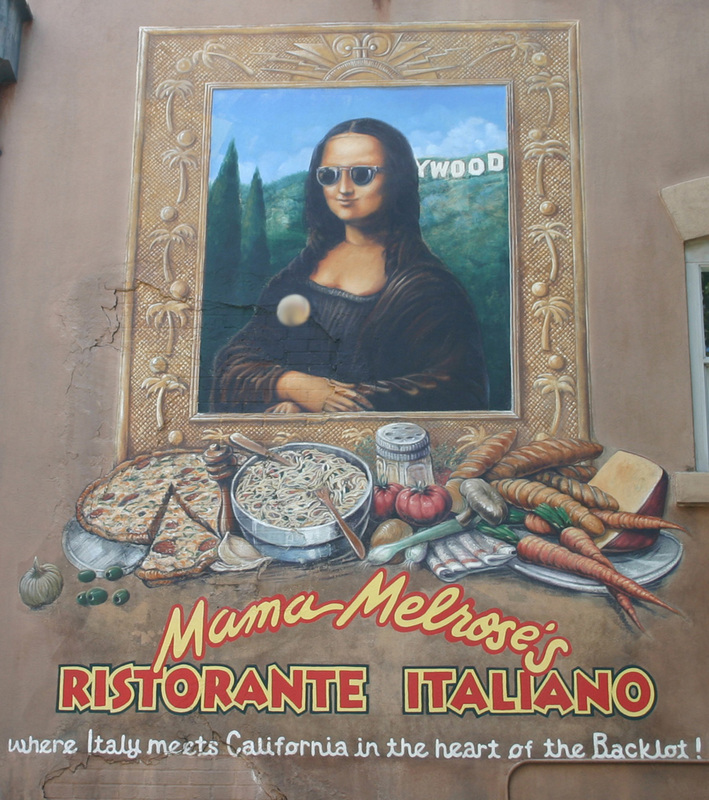 This fun mural of Mona Lisa can be found at Mama Melrose’s Ristorante Italiano at Disney’s Hollywood Studios. Sure looks like she has a sense of humor. Do you remember what the button (blurred out here) on her shirt says?